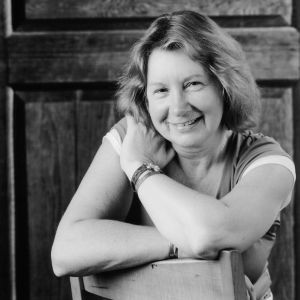 Our poet Medbh McGuckian was born Maeve McCaughan in Belfast in 1950, the third of six children. McGuckian attributes her mother, whom she describes as very artistic, for sparking her initial interest in poetry. McGuckian began writing poetry as a child and continued through her adolescence, eventually enrolling at Queens University, Belfast to study English. As a university student, McGuckian met our poets Ciaran Carson and Paul Muldoon, whom she still works with frequently. Also at Queens University, McGuckian studied under Seamus Heaney, who not only taught McGuckian much about writing, but inspired the current spelling of her name. While signing a book for her, Heaney wrote McGuckian’s first name in the traditional Irish way, spelling it Medbh rather than Maeve. McGuckian adopted this spelling and has used it ever since. I have been teaching all my life but only recently how to write poetry. I like it when it is not too exhausting as it makes thing less isolated and students are so passionate and young. However, if it is in schools or people think they are wonderful and don’t want to be criticised it can drain you certainly. I learn a lot from the intelligence of young people. Check out our website to learn more about Medbh McGuckian, including information regarding her many books.